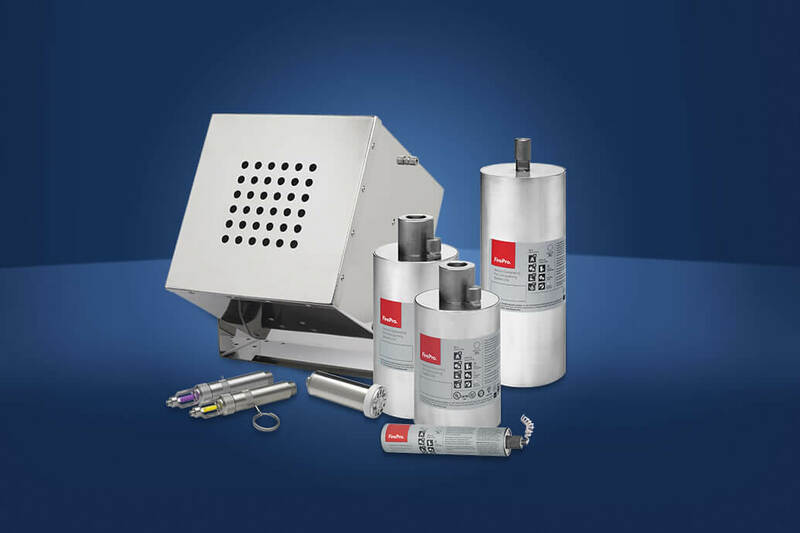 Samsung SDI, a Korean multinational technology corporation, has selected FirePro, the leader in fire suppression systems, for protection of its sensitive Energy Storage Systems (ESS). Listed in Forbes Global 2000 – World’s Biggest Public Companies, Samsung SDI is the world market leader in Lithium-ion energy storage. Its ESS use a differentiated design technology to offer on-demand power management, power dispatch, and renewable energy smoothing for a variety of applications, including commercial and state utility organizations. The sensitivity of its equipment, and how to protect it, posed a challenge for Samsung SDI. The unique standardized modal containers used for their ESS required a very specific type of dependable and autonomous fire protection system. One that without compromising their design, would offer complete protection from any type of fire that could escalate rapidly with disastrous consequences. FirePro technology, renowned for its modularity, compactness, and autonomy, made it the ideal choice for protecting Samsung SDI’s specific requireements. Additionally, FirePro’s dedication to Green Technology and Sustainability aligns perfectly with Samsung’s dedication to green energy and environmentally-friendly production of electric power. The FirePro team in Korea in collaboration with FirePro’s Technical Division designed a bespoke automatic fire suppression system that was the perfect fit for the ESS containers. To ensure a compact, durable, and dependable solution, with a long life span FP-5700 and FP-4200 units were used for this application. Moreover, the system selected is capable to protect against various classes of fire that could emanate from different types of materials, all the while adhering to both local and internationally recognized standards and regulations. FirePro designs, manufactures, and distributes industry-leading, environmentally friendly automatic fire suppression systems. More details can be found on the FirePro website www.firepro.com.